This temple sits on the cliff edge of the banks of the river Beas overlooking the town of Mandi. 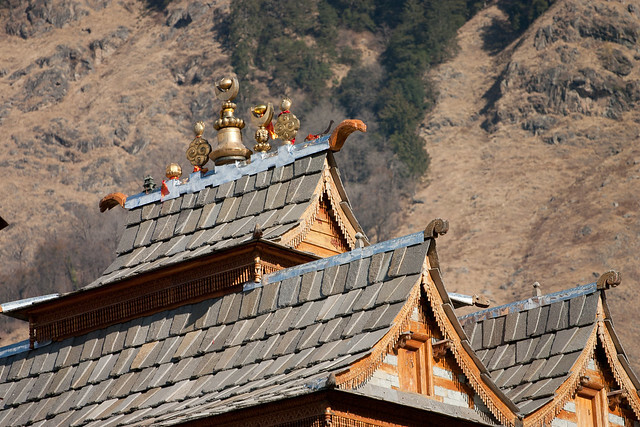 Built by the Yadava clan, the temple stands in dedication to the battle between good and evil. This is the spot where Lord Krishna fought against the demon king Banasura. The head of the demon severed in battle, lies beneath the temple.